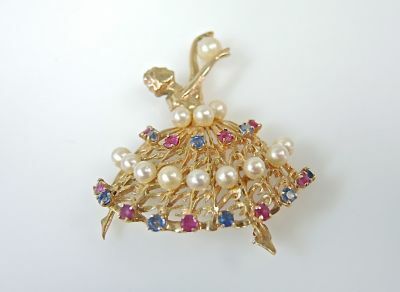 One 14 karat yellow gold dancer brooch. Thirteen cultured pearls of creamy rose colour with silvery overtones. Eight blue sapphires (0.84 carats). Nine rbies (0.99 carats).